The God of War collectibles keep coming, offering fans of the latest entry in the series plenty to choose from. 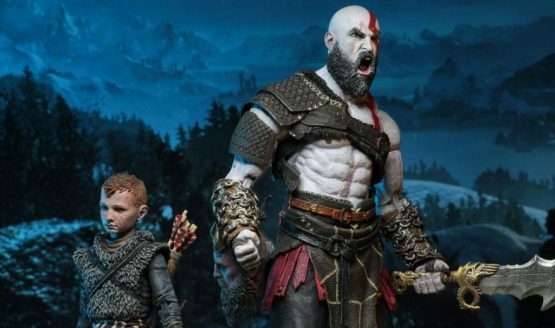 This time, NECA Toys joins the fun, announcing plans to release Kratos and Atreus figurines this fall. 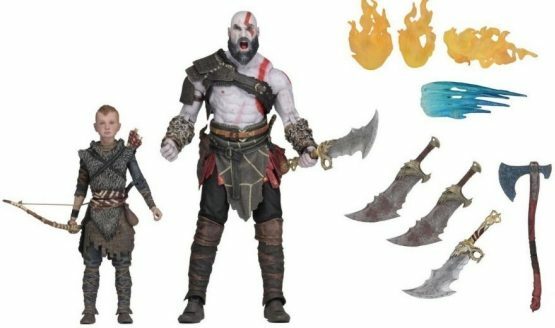 Two figurines, one of Kratos and the other Atreus, will feature in a two-pack that comes in a “display-friendly deluxe window box with opening flap.” The pack includes Mimir’s head, which rests on Kratos’ right hip, and a slew of accessories, such as Kratos’ Blades of Chaos and Leviathan Axe. Included as accessories are also little models that resemble flame and frost effects. Standing 7 inches tall, the Kratos figurine is easily the largest of the pack and features 36 points of articulation. Meanwhile, Atreus has more than 25 points of articulation and is equipped with his bow and arrows. Compared to the figures announced by Mondo prior to San Diego Comic-Con, the NECA figurines aren’t as detailed. The Mondo figure stands just over 12 inches in height, featuring 25 points of articulation. Such differences will likely be reflected in the pricing of each company’s offerings. However, neither NECA nor Mondo have released pricing information for their respective figurines. Those interested in the NECA two-pack should know the Kratos and Atreus pack is slated to hit store shelves sometime this November. 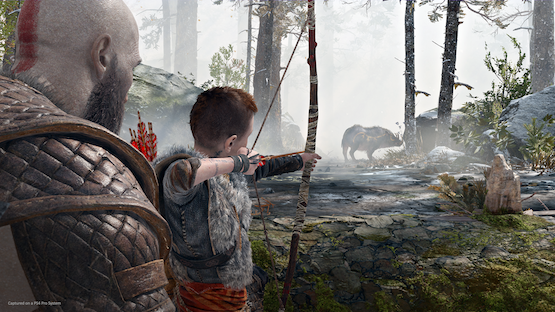 In other God of War news for collectible enthusiasts, art dealers Cook and Becker have art prints from the game on sale. All are of impeccable quality that range in price from $95 USD to $135 USD.